Please note: Grass prices may vary due to seasonal availability. Don't buy until you talk to us! 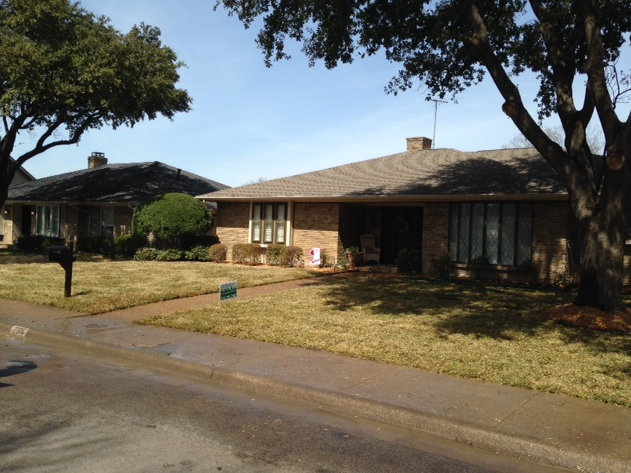 Offering the best prices on sod grass and zoysia in DFW! Please call beforehand to ensure prompt service. 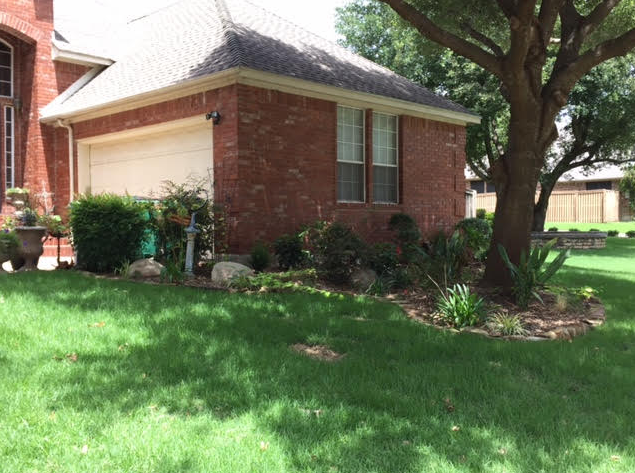 What Can Fresh Sod Grass and Landscaping Do For Your Front Yard? The idea of landscaping the front yard is relatively new in history, and many Americans still seem unsure what to do with it. Front yards as we know them were virtually unknown in ancient times, when the only outdoor space associated with the house was a garden enclosed with the walls or courtyard of the house itself. The notion of landscaped spaces in front of houses, at least in the US, seems to have sprung up from two quite different sources: one the one hand the grand entrance gardens of European mansions, designed to impress visitors, and on the other hand the very simple greensward of colonial New England towns - the open commons on which sheep or cattle grazed, and toward which the houses and churches face. Things certainly have changed over the past few decades. A far more troublesome anachronism is the old notion of "foundation planting". Plants and types of sod grass set directly against the house performed a function of sorts in the old days: the meticulously sheared shrubs not only added to the house's impressive effect, but they also hid the foundation and basement windows. For today's lower homes, however, foundation planting is not needed in most cases. 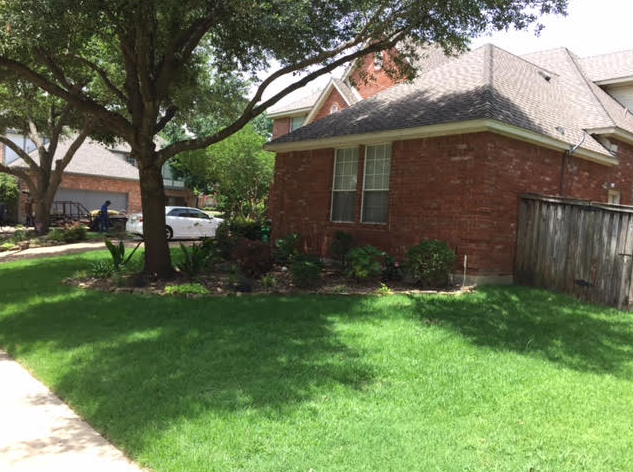 We have access to any type of grass you may want for your yard and look forward to consulting with you on what makes the most sense for your specific living situation. Creating a service area in your backyard: Decorative planting and fencing can also be used around another special-purpose area of a backyard; the service area. Such an area can accommodate almost anything - trash, clotheslines, a trailer or shed, or a garden work center. If you screen a service area with plants and grass, use evergreen varieties; they will hide any clutter better. If space is very limited, as it often is in side yards, a fence or masonry wall will leave more ground free to lay zoysia or Bermuda grass. One of the simplest fences that will provide a visual barrier without creating a stockade effect is one of wire mesh covered with a lushly leaved, fast-growing evergreen vine such as English or Algerian ivy.